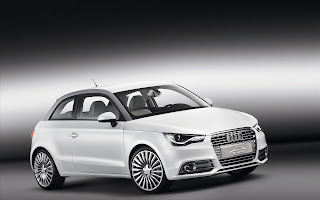 The next generation of the Audi A1 e-tron is more powerful. 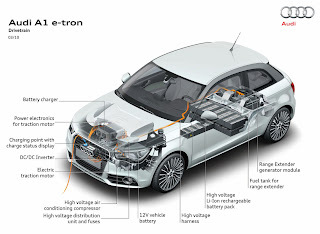 The electric motor drives the front wheels via a single-speed gearbox and produces 85 kW of peak power and maximum torque of 300 Nm (221.27 lb-ft). The sprint from zero to 100 km/h (62.14 mph) only takes 9.8 seconds; its acceleration ends at a governed top speed of 130 km/h (80.78 mph). 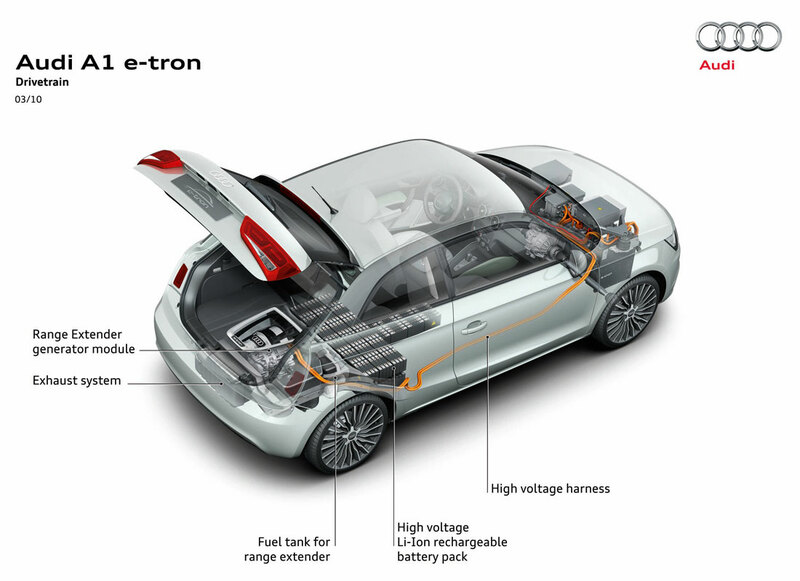 The developers have further improved the electronic stabilization control (ESC) and the selection of the five recuperation levels. 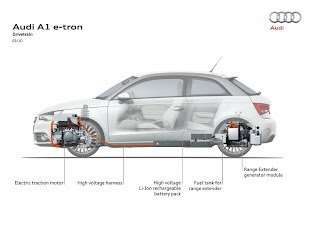 The T-shaped lithium-ion battery in the Audi A1 e-tron stores 13.3 kWh of energy for an electric range of roughly 50 km (31.07 miles). It can be fully recharged in around three hours on a 220 V household outlet. An extremely compact and lightweight single-disc rotary engine in the rear of the car extends the range to a total of 250 km (155.34 miles). 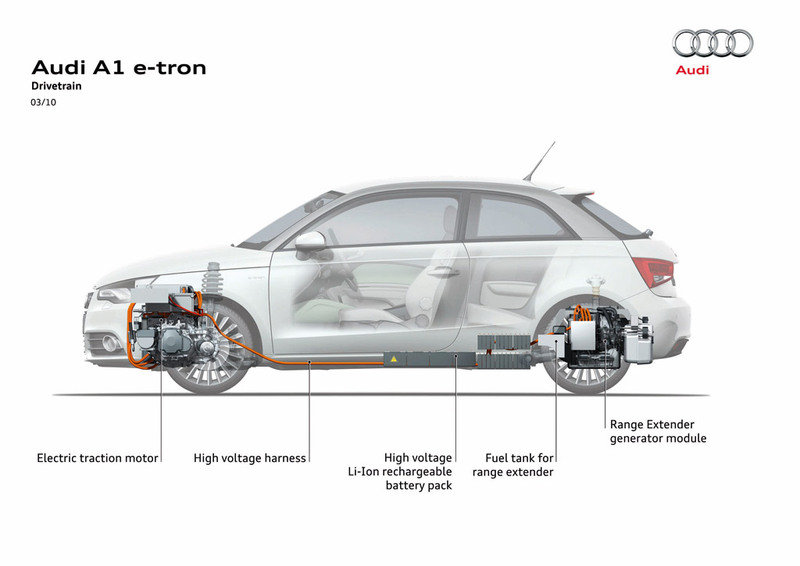 The range extender, which has a chamber capacity of 354 cc and produces 25 kW (34 hp), drives a generator to recharge the battery. It is not mechanically linked to the front wheels. Audi is deploying 80 A1 e-tron models in the Electromobility Showcase. In the six individual projects in which Audi is taking part, the participants will probably drive around one million kilometers.